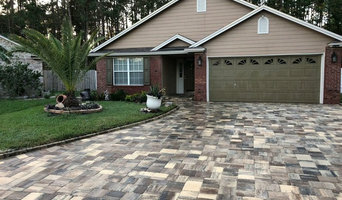 Paver driveways, patios, retaining and garden walls, sidewalks, stone walls, and more. Our services might be varied, but they all come with the same promise of quality, dedication, and durability. Properly licensed and insured. I’m an experienced contractor with the highest standards. We offer a 1-year guarantee for all our services, along with free estimates. A Brief History Established in 1978, Harrington Home Renovations has been assisting N E Floridian homeowner’s in creating their ideal Kitchen’s & Bathroom’s. For over 30+ years, it has been our combined goal to bring our customer’s interior visions to life. Over the years we have had the pleasure of working with thousands of customers. Many of you seeking to provide yourselves with an accessible kitchen with more space, or perhaps you, similar to past customer’s, seek to cultivate an updated appearance for your interior space that is just more… You. Welcome to Harrington Home Renovations. It is our motivation to not just meet those requirements, but to exceed them. Our Team You will have the full support our entire HHR team, from our office staff, to our Project Managers, Designers, to our factory trained Installation Crews. 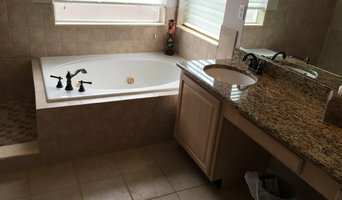 From start to finish, the HHR team will work together to make this process as effortless as slipping into your newly renovated bathtub. Our Installation teams are trained as well with in home etiquette. Each day on the job, our crews will treat your home as respectfully as they would treat their own, and with the same care they would provide as if they were renovating their own space. In regards to dust, as with any home renovation project, it is of great concern to us as well. Our crews use zip wall systems, specialty fans, and floor coverings to provide your home the best in dust mitigation. Last but not least, and of highest importance: All installers are licensed, bonded, and insured. Need a Consultation? When you put a call into our office, you will speak with Jessica. She will be happy to assist you in setting up an appointment. You will then meet with one of our Project Managers to review your ideas, and formulate a plan to make them a reality. Should you require blueprints, or plans, our Project Manager will then assist you in meeting with our Design team. Lastly, should you decide to move forward with Harrington Home Renovations, the same Project Manager, whom you met with in the beginning will be assisting you throughout the entire process. Give our offices a call today for your complimentary estimate!!!!!!!! 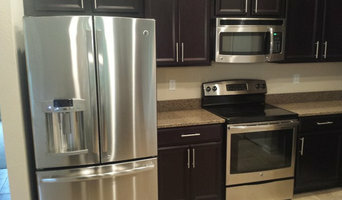 Tri State Builders and Remodeling, LLC. Tri State Builders and Remodeling, LLC., is a locally owned and operated company offering a variety of services to fit each individual‘s needs. We specialize in hotel renovations and nursing home designs with experience in custom home designs, home improvement services and much more. Home improvement services include kitchen and bathroom remodels, flooring design and instillation, painting, and general carpentry. We also offer construction of new additions to existing structures and new custom home constructions. Honesty and integrity are at the heart of our mission to provide quality home and business improvement services. We have been in business for over 50 years. Specializing in custom repairs, remodels or from the ground up! The owner Mr. Mack is meticulous and pays attention to every little detail. Remember you always get what you pay for. This company specializes in getting it right the 1st time! No failed inspections or jack leg work. Building nothing but your dreams! Give them a call and get an estimate on whatever project you have. Green Energy Builders and Solutions is a pioneer in the alternative energy field. Green Energy Builders and Solutions is a subsidiary of Arch Construction and Design. With over 20 years of experience in all aspects of contractual design and building, Green Energy Builders and Solutions has become specialized in the mechanics of energy efficiency and solar. Our Home Energy Team has perfected techniques that provide a comprehensive energy plan that is designed to our customer’s specific energy needs. We are committed to making the world a greener place one house at a time. DeVore Capital Contracting Consulting Inc. is a Florida licensed Certified General Contractor (CGC 1524694), distinguishing us apart from the other typical Construction Management firms. Our experience and accreditation delivers the highest standards in the industry. Our company's principal owner is professionally experienced in construction management of large industrial (power plants, airports), healthcare (out-patient centers), commercial retail and office (strip malls), education (primary/secondary schools), multi-family and residential. Our principal is also a certified Project Management Professional(PMP 1493842) by the Project Management Institute (PMI). Professional experience in high capital project management leading project teams with scope exceeding $2.5 billion. Expert use of industry Project Management standards are incorporated into each and every project that accomplish the highest profitability and customer satisfaction. FGC, Inc. is a full service Florida Licensed General Contractor with extensive experience in Residential, Multi-family & Commercial Construction. The Riverstone Construction staff has worked hard on making our customers successful in completing their projects in a smooth timely manner.